Van Gogh image from Britannica Image Quest and rights cleared for educational use. Even the healthiest of adolescents have tough times. Even the best adjusted have periods of depression, anxiety and despair. Every culture has to address psychological health it is a universal human requirement. No matter where we are from, what school we attend, what we do for a living all of us have to understand how to attain and sustain mental health. Mental Illnesses are medical disorders of brain functions. They have many causes and result from complex interactions between a person’s genes and one's environment. Having mental illness is not a choice or moral failing. The fact is, mental illnesses occur at similar rates around the world, in every culture and all socioeconomic group. Like any other medical condition, mental illness requires treatment. How many teens have a mental illness? 20% of youth ages 13-18 live with a mental health condition. That's 1 in 5 teens. 10% or more of adolescents experience concurrent depression. Does having a mental illness mean I am crazy? At times, any person may feel "crazy" and/or out of control. Mental illness is not defined by short term experiences of symptoms but more frequently the long term symptoms. Not getting help often has more to do with the stigma of being seen as crazy. In reality, taking steps to get help for yourself or someone you know is like taking your epi-pen or asthma inhaler with you when you go on a hike in the woods. Not crazy, smart. Remember, having mental illness is not a choice or moral failing. Mental illnesses occur at similar rates around the world, in every culture and all socioeconomic group. How do you help yourself, a friend, or family member who may be experiencing feelings of not feeling mentally well? Mental illness–whether it is mild, moderate or severe–is almost always treatable. Taking steps to get help for yourself or someone you know can be hard, but it is very important. Do not sit in silence or pain. Know that you are not alone. Brain Basics provides information on how the brain works, how mental illnesses are disorders of the brain, and ongoing research that helps us better understand and treat disorders. 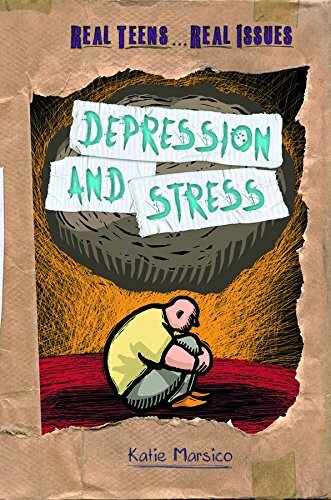 An annotated list of books, websites, and more relating to mental health issues. A website to share what's on your mind about mental health. Nurse McKenna, Nurse Hughes, and Ms. O'Neil are great resources for all of us right here on campus. You can find their office on the first floor of the Madden Gym.